The Magisterial House has the pleasure of informing all Knights and Dames that, on the 24th of July 2008, took place the “ NOCHE LATINA “ at Casa de la Musica in Budapest. 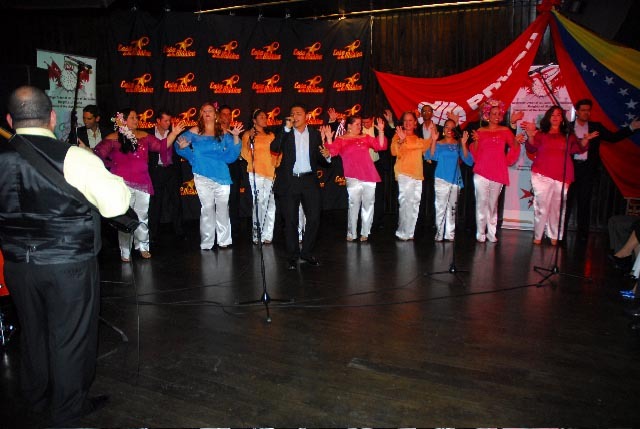 This event was organized due to a co-operation between Casa de la Musica, the Grand Priory of Hungarian Langue of the Federation, and the Embassy of the Republic of Venezuela in Hungary. Attended the event the Chargé d'Affaires and the Consul of Venezuela, the Consul of Ecuador, diplomats from Peru, Portugal and France, and many Knights and Dames of the Federation and of friendly Orders, members of our Knight's Club. a very successful and high level initiative destined to promote and reinforce the bridges of a better knowledge and understanding of the Cultures of different countries and to strength the links between the people of different nations.